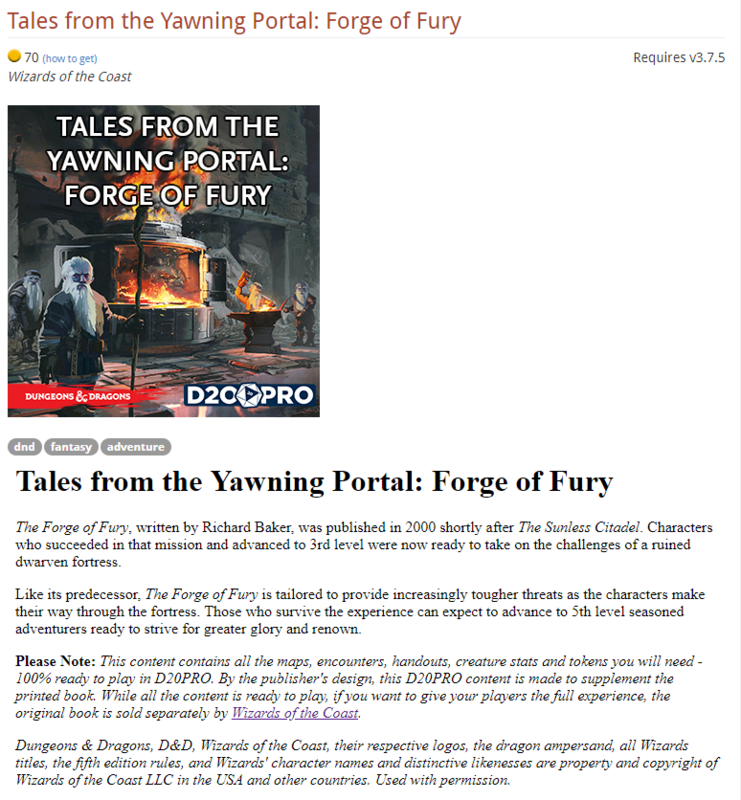 We are pleased to announce the immediate release of the first two adventures from Wizard’s of the Coast’s adventure compilation book, Tales of the Yawning Portal, for Dungeons & Dragons 5th edition. Each adventure supplement is priced at $7.00 (70 gold) and can be purchased in-app through the D20PRO Marketplace. The Sunless Citadel is ideal for new and veteran players looking to start fresh with 1st level characters. The adventure takes your players from 1st level to 3rd level as they explore the mysteries of the Sunless Citadel! Continue the adventure or jump right in with Forge of Fury. This adventure takes your 3rd level characters into the depths of a ruined dwarven fortress! 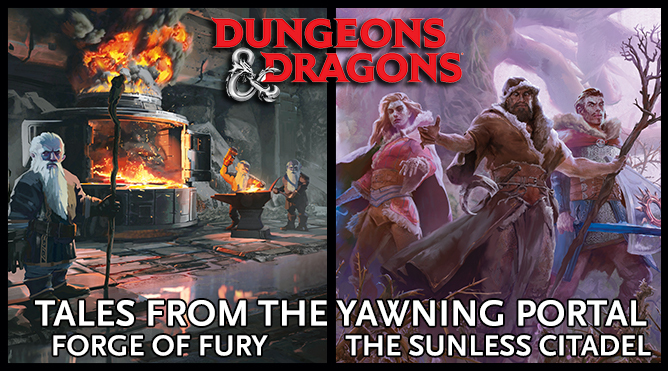 Sunless Citadel and Forge of Fury are the first two of seven adventures from Tales of the Yawning Portal. The remaining adventures are scheduled to be released over the next few weeks! Adventure supplements come with all NPCs, creatures, token art, handouts, and maps converted and ready to play inside D20PRO. Maps are provided with detailed map markers, ready-to-go Fog of War and placed creature tokens, where appropriate. Adventure add-ons are not meant as standalone products and are best used in conjunction with the official printed or digital product in order to achieve the full gaming experience. Check out the D20PRO Marketplace to find other great items for your game! You can buy and download products directly from the D20PRO software. 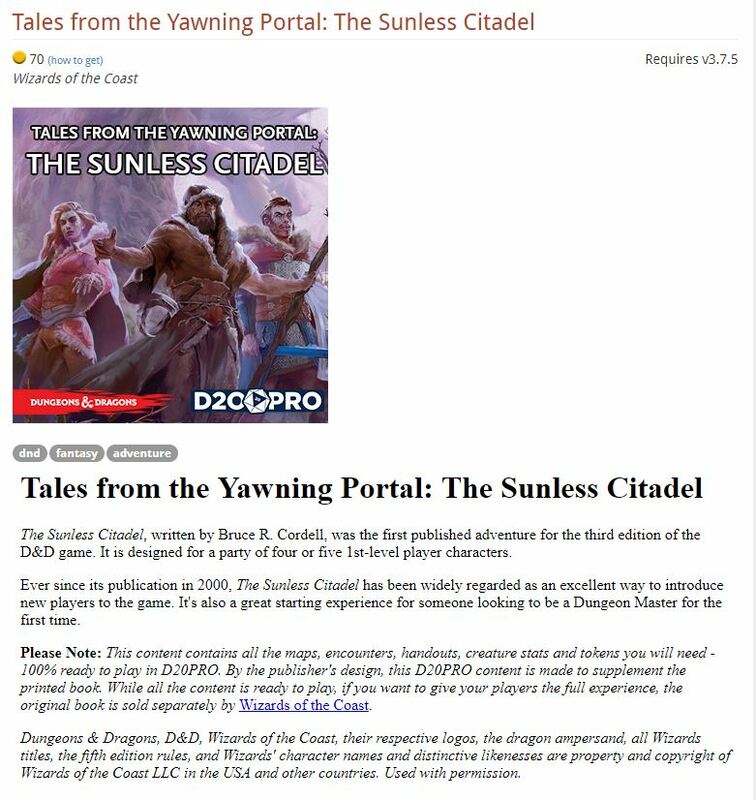 Click on the Marketplace link in the main D20PRO menu, then click Launch Marketplace [step-by-step instructions]. D20PRO Community Manager at Mesa Mundi, Inc. Krilion is a long time gamer and computer nut. He started playing D&D in the 80's. He has been doing RPG stuff on the computer since the days of BBS systems, having run a BBS for many years before the Internet came around. He dabbles in coding and web dev.